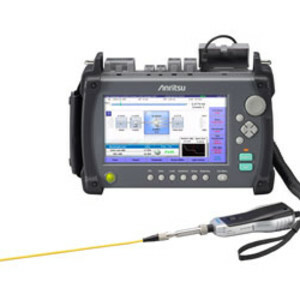 Anritsu introduces the ACCESS Master MT9085 series of handheld testers that provides accuracy and broad measurement capability during installation and maintenance of fibre-optic cable in LTE and 5G backhaul, as well as Metro and Core networks. Maintaining the portability, performance and operability of the field-proven ACCESS Master platform, the MT9085 series incorporates a wide 8″ colour touchscreen for enhanced operation, as well as integrates Anritsu’s Fibre Visualizer as a standard feature. The built-in 8″ touchscreen, rotary knob and hard keys of the ACCESS Master MT9085 series improve OTDR waveform analysis for ease of use, helping cut on-site work time. Further simplifying verification and reducing test time is the Fibre Visualizer. Field technicians can use the tool to display fibre events, such as splices, connectors and splitters, as a schematic map. By eliminating complex operations, such as reading and analysing optical waveforms, Fibre Visualizer allows technicians at any experience level to conduct high-quality fibre measurements and pass/fail evaluations. In addition, automatic pass/fail evaluation based on preset threshold values reduces operator evaluation errors. A flexible platform allows functionality to be easily added to the ACCESS Master MT9085 series. A high-performance optical power meter, visible light source and optical fibre end-face inspection function VIP (Video Inspection Probe) can be integrated into the platform to create a complete all-in-one toolkit for fibre installation and maintenance. Measurement results can be managed easily at the central office using WLAN and Bluetooth connections. 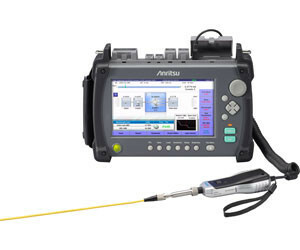 I am interested in Anritsu ACCESS Master MT9085 Series OTDR for 5G/LTE backhaul .